We have a set routine on our walks. Bentley and I stroll together at our pace while Skipper and Pierre walk much faster. Yeah, my momma had to be careful to lift me outta da car on our road trip cuz I wanted to FLY out. 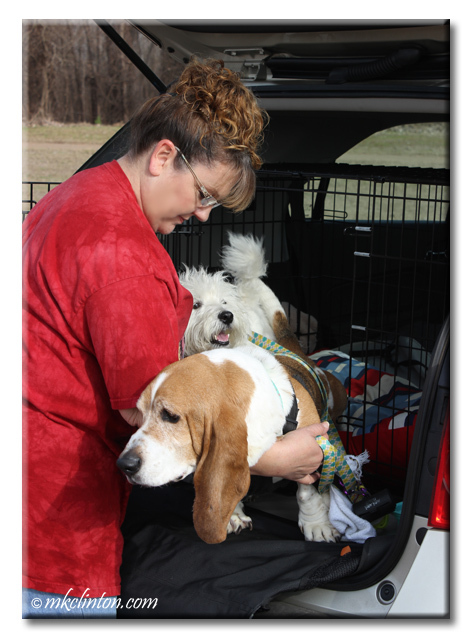 Our AireMobile isn't large enough for a kennel. You guys travel safe and secure! Getting out of the car is always so exciting! Sometimes I try to jump out while I'm still clipped to my seatbelt. Mom had to teach me the word WAIT. I don't like that word. We are glad you are riding safely! You know we wear our seat belts but either option keeps a dog safe. Happy walking. Oh I luffs going fur car rides too.....you never nose what adventures are ahead! AND you are SAFE in there... THAT is Very much important. Oh, I always want to bound out the car as well but it can be a long way down to the ground from daddy-dog's truck (short dog problems indeed). You Bayou Boys sure know how to travel in style with that kennel! Glad to see you are traveling safely, and going for some fun walks! It's great you have two of you for walks...I'm trying to figure out how I can walk Luke and Cricket together, since they are so different....I need to enlist Dad to help! Cricket is the same way...wants to bail out of the car the second we stop, and I have to hold her back! We have set walks for various places. 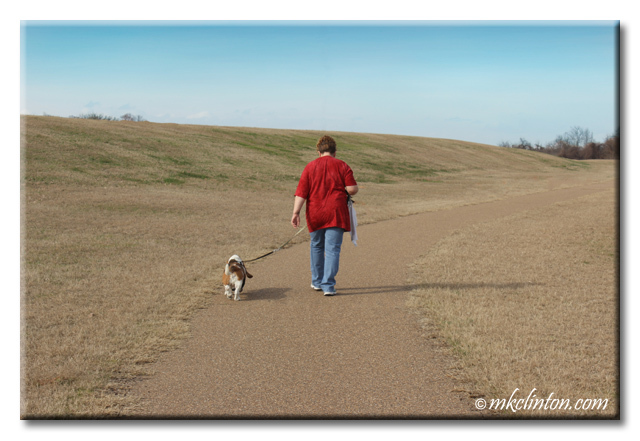 Most of them are leash-free areas, so everyone can move at will! BOL! Our mom always says safety furst! That looks like a fun way to travel. A safe ride. Your walks look great! 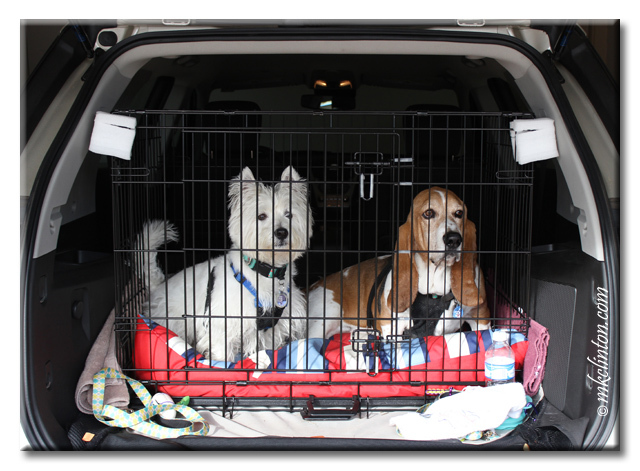 That kennel looks like the 'pawfect' vehicle for taking trips in the car.